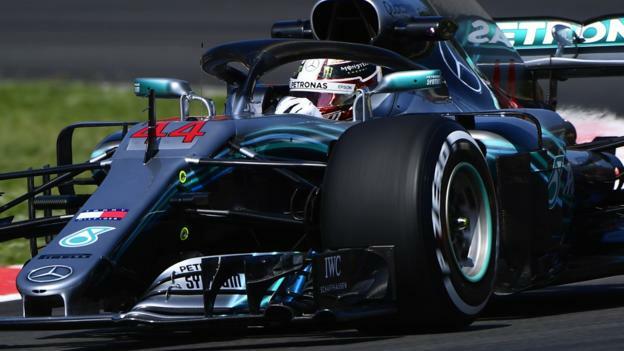 Lewis Hamilton headed Red Bull's Daniel Ricciardo and Max Verstappen in a difficult-to-read second practice at the Spanish Grand Prix. Hamilton and Ricciardo were just two of a number of drivers who set their fastest times on the 'soft' tyre rather than the theoretically faster super-soft. Verstappen and Ferrari's Sebastian Vettel did improve on the super-soft but were only third and fourth quickest. It meant a clear competitive picture was even harder to discern than usual. Many drivers were struggling to make the super-soft work at all on one qualifying lap and it looked as if teams would be trying to minimise running on what would before the weekend have been expected to be the qualifying tyre.